Marie Curie was a Polish-born French physicist. She became first woman to win a Nobel Prize, and one of very few scientists ever to win that award twice. Together with her husband Curie developed and introduced the concept of radioactivity to the world. Maria Sklodowska Curie was born on November 7, 1867 in Warsaw, Poland. Her parents were schoolteachers. She was the youngest of the five children. Curie entered an underground, revolutionary Polish school that prepared young Polish students to become teachers. At the age of 17 Marie worked as a governess to fund her sister’s medical education in Paris. 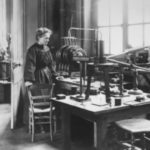 In 1891, at the age of 24, Curie became a science student at the Sorbonne, a university in Paris, and became one of the few women in attendance at the university. 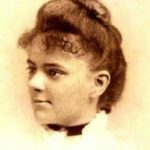 In 1893, Marie received a degree in physics. 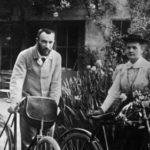 In 1894 friends introduced Marie to Pierre Curie. 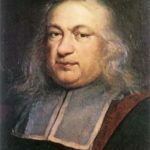 At the time he met Marie Pierre was the director of the Ecole Municipale de Physique et Chimie Industrielles. 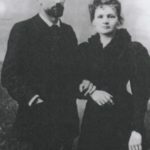 On July 26, 1895, Pierre and Marie got married. They worked together for many years. Their most important discovery was radium. In 1897 their first child Irene was born. In 1904, Marie gave birth to their second daughter. In April 1906, Pierre was run over by a heavy wagon and killed. Marie became the first female teacher at the Ecole Normal Superieure. In 1903, Curie became the first woman to complete her doctorate in France. 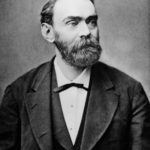 In the same year the couple received England’s prestigious Humphry Davy Medal and received the Nobel Prize in physics for their efforts in expanding scientific knowledge about radioactivity. Curie was the first woman to receive this award. 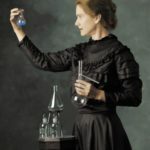 In 1911, Curie was awarded the Nobel Prize again “for her services to the advancement of chemistry by the discovery of the elements radium and polonium”. In 1925, her daughter Irene successfully defended her doctoral thesis on alpha rays of polonium. 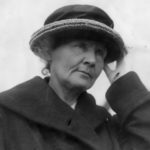 Marie Curie died of leukemia on July 4, 1934. 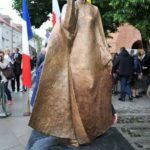 She was buried next to Pierre Curie in Sceaux, France. 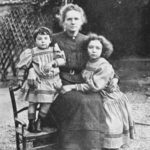 Her daughter Irene continued Curie’s work. She also received a Nobel Prize. Sadly, Irene also got cancer and died young. Maria was a member of 85 scientific societies all over the world, including the French Academy of Medicine and received 20 honorary degrees. From 1911 until her death Curie took part in the prestigious Solvay Congress on Physics. 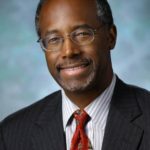 She was an employee of the International Commission on Intellectual Cooperation of the League of Nations for 12 years. 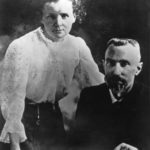 Chemical element – curium was named in honor of Pierre and Marie Curie. In 1961, the crater on the back side of the moon received the name of Maria Sklodowska Curie. 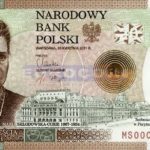 The portrait of Curie is on the Polish and French banknotes.